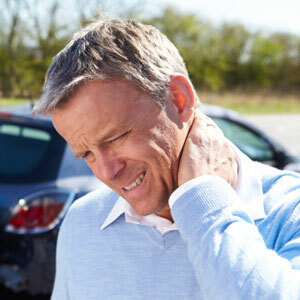 The forces of a motor vehicle accident have profound effects on the body. From the slightest fender bender to more serious collisions, you can end up in pain directly afterward or days, weeks and months later. It is vital to be evaluated by an expert in the body’s structure. At Life Chiropractic & Wellness Centre, Dr. Bhullar is well-versed in helping auto accident victims regain their health. A study performed at Yale University reported that a car traveling at just 8.2 miles per hour provides enough force to shift the spine out of alignment. Most accidents happen at considerably higher speeds. You might walk away feeling fine, but a checkup can’t do any harm and may be the best thing you can do for yourself. If left untreated, you may end up with chronic problems. You can think of the spine as a hanger that the “clothes” of your muscle, tissue and ligaments hang on. If the hanger is bent or distorted, the clothes we hang on them will be warped, too. No matter how much we may iron the clothes, if we set them back on that crooked hanger, the clothes will never be the same. Chiropractic care allows you to address the source of your concern for a permanent form of correction. Schedule your appointment with our Brampton team today!